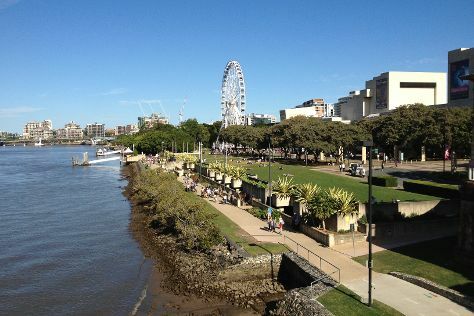 Explore Gold Coast's surroundings by going to Caloundra (Moffat Beach & Dicky Beach), Byron Bay (Cape Byron Lighthouse, Cape Byron Walking Track, & more) and Brisbane (South Bank Parklands, Suncorp Stadium, & more). On the 28th (Mon), enjoy an adventurous day among the treetops at some of the top local zipline courses and adventure parks. Spend the 30th (Wed) exploring nature at Natural Bridge. And it doesn't end there: observe the fascinating underwater world at Sea World Theme Park, find something for the whole family at Dreamworld, take in panoramic vistas at SkyPoint Observation Deck, and stroll through Surfers Paradise Beach. To find more things to do, reviews, ratings, and tourist information, read our Gold Coast tour site . If you are flying in from United Kingdom, the closest major airports are Brisbane International Airport and Gold Coast Airport. October in Gold Coast sees daily highs of 29°C and lows of 18°C at night. Wrap up your sightseeing on the 30th (Wed) early enough to travel back home.